Imagine, if you will, a cross country journey of inspiration. There is a small caravan full of arts, and soaps, and honey, enchanted clocks, and handmade ornaments driving around the country. There is lore, and legend and singing to be had. This caravan stops at various places and teaches classes in art and sustainability and maybe...just maybe...shows you how you can have an outside-the-box life, too. 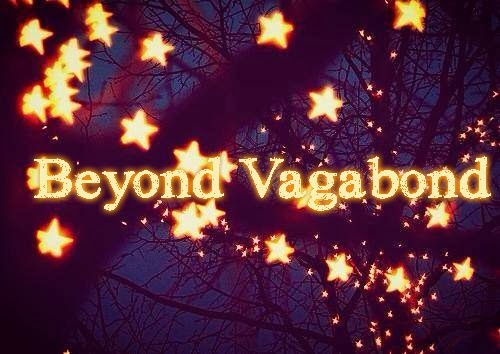 This is the story of Beyond Vagabond, and is a love letter to the open road that I have been on since 2010. The project began as a way to document my journeys across the country. Later, as this world seemed to fall apart economically, it was a way to showcase the people doing what I do--creating their own security and doing amazing things outside of the corporate run, 9-to-5 world. The goal is to show you how you can bring that sort of inspiration and self-reliance into your own existence, and to show you how you can have your best, bravest, most interesting life. To note, in between (and sometimes during!) traveling, I teach ethnic dance, theater and puppetry. I also create enchanting and unique art and natural items for my shop The Vagabond Market. Feel free to contact me about all subjects regarding travel, creativity, and old world, art, and living Outside Of The Box.